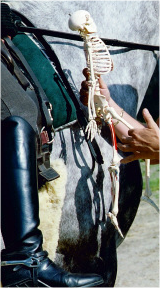 Susanne looks for ways to apply the science of BioKinetics to the horse and rider pair. 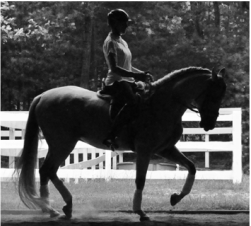 With an understanding of anatomy & musculature she directs the rider towards a program that creates the necessary fitness and feel for harmonious movement. "I feel so much more supple, strong and straight in the saddle"
​"In each class, she imparts tools to use in the saddle, exercises or strategies to try"
"I love her creativity ...we don't just ride on a endless circle"